Ed Garsten is a video reporter at Automotive News TV. 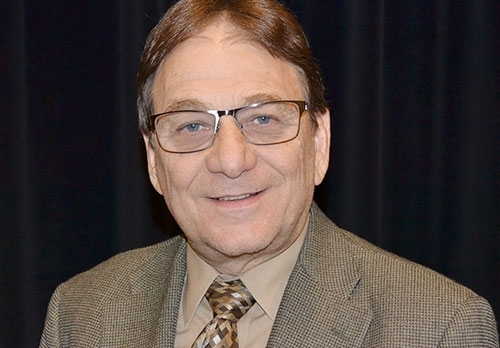 A graduate of SUNY Oswego with a degree in radio/television and a master's degree in journalism from the University of Arizona, Ed has more than 40 years of multimedia experience in radio, television, wires, newspapers, academics and corporate communications and social media. Ed began his career as a disc jockey at radio stations in central New York state and Tucson, Arizona, then moved on to television as a reporter, producer and weathercaster at KGUN-TV in Tucson. He was recruited by CNN as one of 10 producers to launch its second network, Headline News, in 1981. He stayed with CNN for 20 years spending 12 in Detroit as CNN's Bureau Chief and Correspondent. From CNN, Ed went on to serve as National Auto Writer for the Associated Press, followed by a stint as General Motors beat writer for The Detroit News, followed by 11 years at DaimlerChrysler/Fiat Chrysler Automobiles as head of its digital communications team. He also spent five years as an adjunct professor of broadcast news and announcing at Wayne State University. Now semi-retired, Ed has been with Automotive News TV on a part-time basis since October 2016.